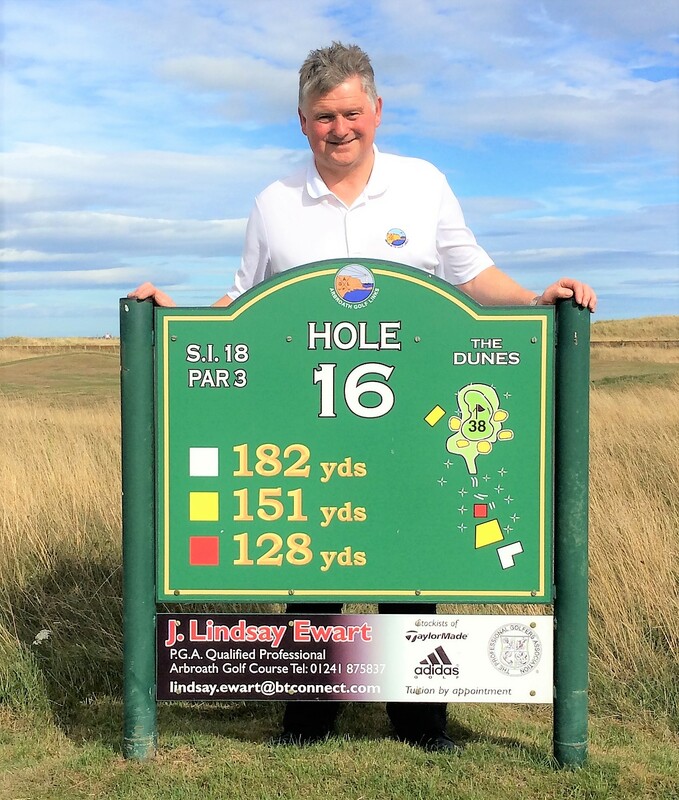 After serving 39 years at the helm at Arbroath Golf Course popular golf professional Lindsay Ewart is retiring. Lindsay is a Carnoustie lad who attended Kinloch Primary and Carnoustie High School. His early golf lessons were from famous professional Fred Bullock, runner-up to Gary Player in the 1959 Open. Lindsay's first step into the world of professional golf was an assistant to Bob Jamieson at Dunblane golf course. He spent 5 1/2 years there before moving to Arbroath in 1979. To celebrate his retirement a pro-am has been organised for Saturday, September 8 at Arbroath Golf Links where 42 professionals and more than 100 amateurs from all over Scotland will compete. Bob Jamieson will be guest of honour and a fun day is in place with an opportunity to win a car at the seventh for a hole in one. This special prize courtesy of PD Cars. Ewart has recently become a grandfather and his time will be taken up with baby-sitting duties, hopefully playing some golf and spending more time at Gayfield to support his beloved Arbroath football team. Craig Knowles, formerly of Glenrothes Golf Club, will take over from Lindsay as Arbroath golf professional in October.